Q: What kind of professionals do you service? Q: Are you affiliated with other companies or groups? Q: Are you a membership organization? Q: What is your Customer Service Policy? The Ultimate Estate Planner, Inc. was formed by Philip J. Kavesh in 2004 under the business name, The “Missing Link” Boot Camp, Inc. These initial Boot Camps were created as live conferences to provide both estate planning attorneys and financial advisors an intensive, all-inclusive, 2 ½ day training where both advisors were linked together to implement new, cutting-edge trust products and effectively learn how to create a successful multi-disciplinary model, integrating both estate and financial services under one roof. 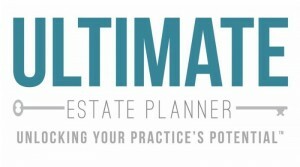 The Ultimate Estate Planner, Inc. has since expanded upon these original Boot Camps to provide practical, tested and proven technical and marketing products to help estate planning professionals of all kinds throughout the country build their practices. We offer a variety of resources to estate planning professionals, including educational teleconferences, live training programs, marketing and seminar products, legal document forms, and a variety of practice-building and sales tools. Our company is independently owned and operated by its President, Philip Kavesh. We do, however, have a several working relationships with numerous organizations that service the estate planning community and are constantly looking to expand our affiliations. If you are interested in working with us, please call us at 1-866-754-6477. No. We do not have monthly or annual membership fees and do not service a group of subscribed members. The Ultimate Estate Planner, Inc. offers teleconference, products and resources that you need and when you need them. Although we do occasionally have offers for payment plans or monthly subscriptions, we do not have any on-going membership fees or requirements. Our goal is to be a source of products and services for estate planners that are complementary to what is offered by the other national membership organizations for various estate planning professionals. With us, you have the option to get what you need in an “ala carte” format. Our office is open Monday through Friday from 8:30am to 5pm Pacific Time (11:30am to 8pm Eastern). We typically are closed from 12pm to 1pm Pacific Time for lunch, but will return calls and e-mails received during that time shortly after our return. Our office observes most major U.S. holidays and have shortened hours during the Christmas and New Year’s holidays. We pride ourselves in providing customers with prompt and efficient service. We understand that professionals are busy and that their time is important. We return all calls and e-mails within one business day. If, for some reason, you are not getting a response to an e-mail sent to us (either directly or through our website), please contact us at 1-866-754-6477 right away. There may have been some kind of error in receiving your inquiry.